Electrolux washers are famous for their attractive features and stylish look. Why trust your machine to just any appliance repair service? It Is Fixed technicians are Electrolux washing machine repair experts. 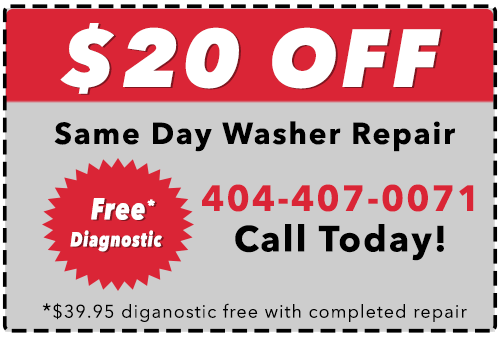 We have fully-licensed and certified technicians on standby, ready to get your washer fixed fast. If you are located in the Metro Atlanta area, you can count on flexible scheduling and same-day service. Whatever the issue may be, we are here to help, seven days a week. 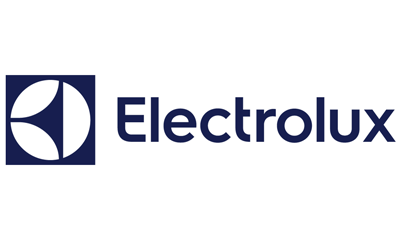 Call for specialized Electrolux appliance repair today! 11 Fill time too long If the washer takes too long to fill then first check if the hot and cold water inlet valves are set to the fully open position. The normal water pressure for Electrolux washers is 25 psi. If there is insufficient pressure then contact your water utility. If sufficient pressure exists then check the inlet water filter and ensure that it is clear of blockages. Inspect the valve assembly and make sure it can switch open and closed, replace if it cannot or is stuck. If water can fill the washer even when turned off then replace the inlet water valve assembly. If this doesn’t work then unplug the washer and inspect the pressure switch/sensor wiring to the control board. If the wiring is okay then replace the pressure switch or sensor. If the problem persists then remove the control board and replace it. 13 Water leak in tub or air leak in air bell. If your washer is leaking water then several steps can be taken to fix the issue. First drain any current water from the unit. Unplug the washer, then check inlet hoses and drain hoses for damage, replacing as needed. If there are no water leaks, then there may be an air leak that has triggered the error code. To fix this, unplug the washer, and inspect the air hose for punctures, replace if damaged. If neither of these fix the issue then replace the water pressure sensor, and if it persists then replace the main control board. 31 or 32 Water level pressure sensor isn’t communicating with the electronic control board This error occurs with damaged wiring. Unplug the washer and check the wire harness for defects and connectivity to the control board. If the wiring is okay then replace the main control board. 35, 38 Water level pressure sensor detects an overfill If the washer is overfilled: Unplug the washer and observe if the water into the washer shuts off. If water continues to fill the tub when unplugged then remove and replace the inlet water valve assembly. If the washer is underfilled then replace the water level sensor as it is incorrectly reporting an overflow condition. 41, 42, 44, 45, 46, 49 Control detects the door open This error shows when the washer detects the door is open, even if it is mechanically closed. Unplug the washer and inspect the wires between the door lock assembly and the main control board, fix any loose connections if they are found. If the wiring is okay then remove and replace the door lock assembly. If the problem persists, replace the main control board. 52, 59 Bad signal from the drive motor tachometer This error indicates that connection between the drive motor and the control board is lost. Unplug the washer. Check to see if the tub spins freely. If it doesn’t spin freely, then remove the drive belt and try to see if the motor pulley spins freely. If it is stuck in place, then remove and replace replace the drive motor. If the tub doesn’t spin freely but the drive motor does, then replace the spin bearing connecting the outer tub and the spin basket. Check the wired connections between the motor control board and the drive motor. If the wiring is okay, then remove the drive motor and measure the resistance across the tachometer leads. A normal value is between 105 Ohms and 130 Ohms. If the multimeter reads a value other than this, then replace the drive motor. If the problem persists then replace the main control board. 53 Low voltage to the motor control board When this error occurs, unplug the washer and inspect the wiring between the motor control board and the main control board. If the wiring is okay, then replace the motor control board. 54, 55, 5B Drive motor over speed For a drive motor overspeed error, unplug the washer, remove the drive motor, and measure the resistance on the tachometer between pins 4 and 5; a normal value is between 105 Ohms and 130 Ohms. If the multimeter reads a value other than this, then replace the motor. If the problem persists then replace the main control board. E55 Over speed or under speed error. For a drive motor overspeed or underspeed error, unplug the washer, remove the drive belt and spin the motor pulley. If it doesn’t spin then remove and replace the drive motor. If it does spin, then try to spin the tub. If the tub doesn’t spin then check the spin bearings. Check the wiring between the motor and the main control board. If the wiring is okay, then remove the drive motor and measure the resistance across the tachometer leads. A normal value is between 105 Ohms and 130 Ohms. If both the tub and motor spins freely then disconnect the motor and check the resistance between pins 1 and 2, 1 and 3, and 2 and 3; these should all read between 3 Ohms and 6 Ohms. If these values are okay, then replace the speed control board, if not then replace the drive motor. A1, A2, A3, AE, A5 Main Control Board Failure When this error occurs the main control board needs to be replaced. 5C, H1/B1, H2/B2, H3/B3, HE/BE, HF/BF High Voltage experienced by MC, power frequency error, or control relay fault. For a power overvoltage error, first, unplug the washer and replace the motor control board. You may need to contact your power company or have an electrician check the power input and phase to your appliance. 83, 5D, 5E, 5F, 98, 9F Communication problem. This error indicates an electronics communications issue. Unplug the washer and inspect the wired connections between the main control board and the motor control board. If the wiring is okay, then replace the motor control board. If the problem still persists then replace the main control board. 67, 68, 69, 6A Heater sensing relay failure. This is an error in the heater relay. Unplug the washer and check the resistance across the heating element using a multimeter; this should read approximately 14 Ohms. If the value lies outside this range then replace the heating element. If the error code persists then remove and replace the main control board. 71, 74 Drum water NTC failure. (Tub heater). Water temperature does not increase. This is a problem with the resistance in the drum water Negative Temperature Coefficient (NTC). Use a multimeter to check the resistance across the heating element; if the value is outside the normal value of approximately 4.8 kOhms then replace the heating element. 91, 92, 93, 94, 95, 97, 9C, 9E Communication error between the UI board and main control board. This indicates an electronics communications error. Unplug the washer and inspect the wired connections between the user interface board and the main control board. If the wiring is okay, then replace the user interface board. If the problem persists then replace the main control board. F1 Clogged drain pump. This error indicates an electronics communications problem on either the main control board or the user interface board. Unplug the washer and inspect the wired connections between the user interface board and the main control board. If the wiring is okay, then replace the user interface board. If the problem persists then replace the main control board. F2 Too much soap. This error occurs when the washer detects clog in the drain pump. Remove any clogs if present. EF2 Too much suds Using too much detergent, especially High-Efficiency (HE) detergent, could cause too many suds to be generated. Stop the cycle and wait for the suds to dissipate, then restart the wash cycle. 62, 74, F5 Incorrect water temperature. The thermistor is detecting incorrect water temperatures. If this is due to water lines being switched, see response to error code F9. If not, check the hot water heater for problems generating hot water. If the water temperature is still erroneous, then replace the water inlet valve assembly. If the problem persists then check the wiring between the main control board and the water temperature sensor, connecting any loose wiring found. F8 Stuck button Try to manually free the stuck button. If this doesn’t work then unplug the washer, remove and replace the user interface board. F9 Reversed water connection If the hot and cold water hoses are installed in reverse (hot inlet to cold inlet, cold inlet to hot inlet), then this error will occur. Close the inlet water valves and reverse the hoses. Reopen the water valves when the connections are in place. Rerun the cycle and verify that the hoses are installed correctly. F5 Unbalanced load Stop the cycle if the washer excessively vibrates or knocks. Open the lid and remove excess clothes and redistribute the remaining load. When finished, resume the cycle. This can also occur if the load is too light, in this case, add additional clothes during the rebalance. This may occur more frequently with large items like comforters. 31 or 32 Water level pressure sensor isn’t communicating with the electronic control board This error occurs with damaged wiring. Unplug the washer and check the wire harness for defects and connectivity to the control board. If the wiring is okay, then replace the main control board. 35, 38 Water level pressure sensor detects overfill If the washer is overfilled: Unplug the washer and observe if the water into the washer shuts off. If water continues to fill the tub when unplugged then remove and replace the inlet water valve assembly. If the washer is underfilled then replace the water level sensor as it is incorrectly reporting an overflow condition. 41, 42, 44, 45, 46, 49 Control detects the door open This error shows when the washer detects the door is open, even if it is mechanically closed. Unplug the washer and inspect the wires between the door lock assembly and the main control board, fix any loose connections if they are found. If the wiring is okay, then remove and replace the door lock assembly. If the problem persists, replace the main control board. 52, 59 Bad signal from the drive motor tachometer This error indicates that connection between the drive motor and the control board is lost. Unplug the washer. Check to see if the tub spins freely. If it doesn’t spin freely, then remove the drive belt and try to see if the motor pulley spins freely. If it is stuck in place, then remove and replace replace the drive motor. If the tub doesn’t spin freely but the drive motor does, then replace the spin bearing connecting the outer tub and the spin basket. Check the wired connections between the motor control board and the drive motor. If the wiring is okay, then remove the drive motor and measure the resistance across the tachometer leads. A normal value is between 105 Ohms and 130 Ohms. If the multimeter reads a value other than this then replace the drive motor. If the problem persists then replace the main control board. F1 Clogged drain pump. This error indicates an electronics communications problem on either the main control board or the user interface board. Unplug the washer and inspect the wired connections between the user interface board and the main control board. If the wiring is okay then replace the user interface board. If the problem persists then replace the main control board. F9 Reversed water connection If the hot and cold water hoses are installed in reverse (hot inlet to cold inlet, cold inlet to hot inlet) then this error will occur. Close the inlet water valves and reverse the hoses. Reopen the water valves when the connections are in place. Rerun the cycle and verify that the hoses are installed correctly. F5 Unbalanced load Stop the cycle if the washer excessively vibrates or knocks. Open the lid and remove excess clothes and redistribute the remaining load. When finished, resume the cycle. This can also occur if the load is too light, in this case add additional clothes during the rebalance. This may occur more frequently with large items like comforters.